Find out why everyone is talking about this popular 2019 Toyota Camry LE. PROTECTION PACKAGE (Q2), CONVENIENCE PACKAGE, ALL-WEATHER FLOOR LINER PACKAGE , SPECIAL COLOR, BLIND SPOT MONITOR W/REAR CROSS TRAFFIC ALERT, Window Grid Antenna, Wheels: 7.5J x 17" Alloy, Variable intermittent wipers, Valet Function, Urethane Gear Shift Knob. 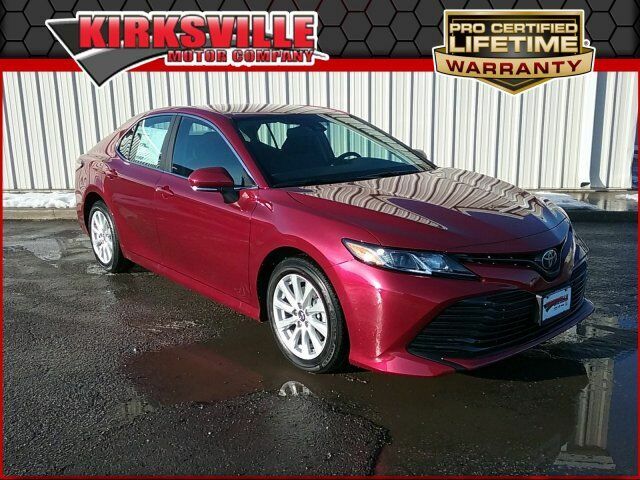 Come in for a quick visit at Kirksville Motor Company, 3607 N Baltimore St, Kirksville, MO 63501 to claim your Toyota Camry!